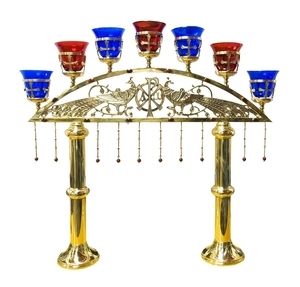 Seven-branch candelabrum - 7011 - Istok Church Supplies Corp. 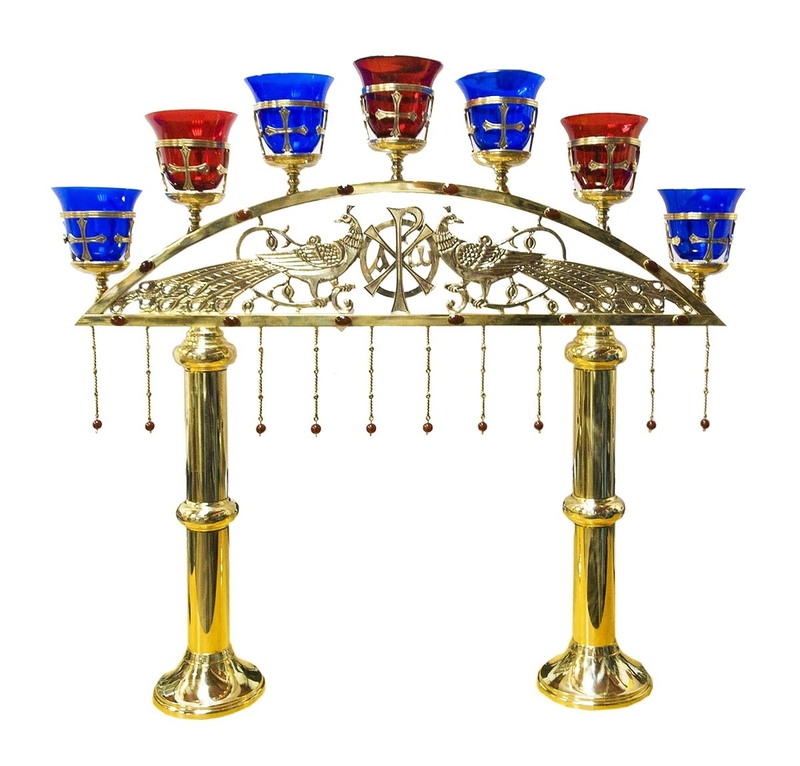 Exquisite seven-branch candelabrum. A copy of the XV century prototype. Solid Russian-made product. Brass, hand-casting. Size: 30.7''x5.1''x27.6'' (78x13x70 cm).